For most of us, juggling work and family life can be an exhausting chore, especially when you need to prepare dinner for the family when you get home from work. Thinking of different meals to prepare can be a daunting task, as some recipes simply require way too much preparation. This is why we’ve sussed out the top 5 unbelievably easy dinner recipe tutorials that you should try! Let’s get started. It’s seriously that simple. Here’s how to do it: Heat oil over medium-high heat. Add ginger and garlic cloves, stir until fragrant. Add chicken, cook until no longer pink (3 to 4 minutes). Add onions, mushrooms, carrots and sugar snap peas. Stir fry until vegetables are tender. Add the cooked egg noodles. Toss in sauce and cook for another 3 minutes. This is a perfect quick recipe for making mid-week or when you want something a little bit lighter. Fresh prawns cooked in a wok with chillis and sugar snap peas. Then mixed in with high-protein butter beans and fresh tomatoes on a platter of toasted chiabatta. Who isn’t a fan of teriyaki? This easy recipe can be done in 30 minutes! What’s more, it will accompany your bowl of steamed rice perfectly! Yum! If you’re tired of eating rice every day, try substituting it for other alternatives such as cauliflower or even quinoa. This recipe is not only easy, it’s healthy too! Everyone loves a week night meal they can get on the table in 20 minutes. This one-pot pasta recipe combines a few fresh ingredients, water, and a touch of olive oil with dried pasta, and it all cooks together in a saute pan. With its straight sides and flat bottom, it’s ideal for this dish. Alternatively, if you would like something that’s even easier, check out CP’s Chicken Cake ($4.90) and Honey Wings ($6.90)! Made with chicken meat and vegetables wrapped in bean curd skin, this addictive dish is the ideal dish to be boiled in soup, leaving a sweet lingering aftertaste that promises to make one crave for more. 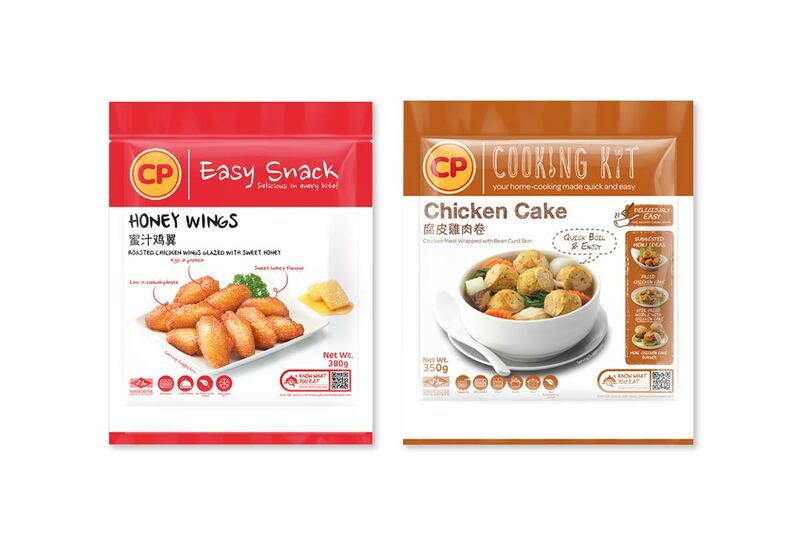 Newly-packaged as a CP Cooking Kit, CP Chicken Cake is a versatile dish that can be consumed and transformed in many ways, bound only by one’s culinary creativity. Or, sweeten your taste buds with the CP Honey Wings! Marinated and roasted with a special blend of sauce, these glazed honey wings are a hit among people of all ages. Released in a brand new packaging this year, CP Honey Wings makes the ideal snack that is both easy to prepare and delicious in every bite! Check out www.cpbrand.com/sg for more! What are some other easy recipes you enjoy cooking for your family? Share with us your recipes down below. P.S. Share this with other mums too!